As we reach the end of January, we can hopefully wash those January blues away. We all struggle in January, the weather is colder, money is tight after Christmas and we all have to go back to work and school after enjoying some time off. Hopefully now that we are entering February we will begin to see the days getting longer and we will fall back into a routine. Hopefully February can also be a time to focus on ourselves and so I have decided to run a competition to help out a smile back on your face. One lucky winner will win themselves a pack of false lashes and a mascara. 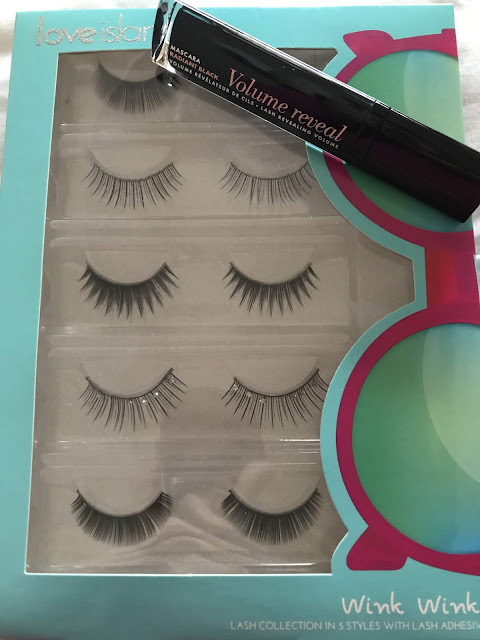 The false lashes are a Love Island eyelash collection and comes with 5 different styles. A perfect match for any outfit. The lash collection also comes with lash adhesive. The mascara is a Bourjois Volume reveal mascara and comes in radiant black. This mascara comes with a mirror on the side offering 3x zoom to allow for easy application. This competition prize is the perfect finishing touch to any outfit and make you stand out from the crowd. This is a Rafflecopter competition running from 1st February to the 28th February please enter below. Good luck. Competition ends on 28th February 2019. Winners will be contacted and have 30 days to claim their prize. Thanks for the chance to win, my daughter is eyelash obsessed so would love this prize. My sister would love this she loves her lashes! I'm looking forward to the hedgehogs waking up from hibernation. Helping at the School Cake Sale.